Six years ago, Dell was one of the first brands to suffer from a social media-fuelled fall from grace. Suzy Bashford talks to the man responsible for improving the firm's ability to listen to customers. It is a truth, now universally acknowledged by the PR profession, that hell hath no fury like a pissed-off blogger. We have, in part, Dell to thank for this collective wisdom after one man's exasperated posts about the brand in 2005 set off a media feeding-frenzy and blog storm. This disastrous case study starkly showed that social media can damage not only a company's reputation, but its sales and share price too. Dell failed miserably. Yet six years on, the brand has just been awarded the accolade of the 'most social brand' by industry experts Headstream. Its Social Brands 100 Report includes qualitative research on tweets and Facebook posts, crowd-sourced nominations and the verdict of a panel of independent experts. But what does Dell's director of comms EMEA, Stuart Handley, think of Jarvis' assessment of this turnaround? Does he think the brand has finally shaken off the Dell Hell tag? Back in 2005, Handley says Dell was already well on its way to forging a 'listening' organisation using new media. The fact that Jarvis exposed the cracks simply served to focus minds even more. As for the Dell Hell tag, Handley finds this reference 'extraordinarily dated and, in social media terms, a generation ago'. Indeed, his hunch seems to be backed by exclusive research ICM has undertaken for PR Week for this article: only six per cent of the population have even heard the term 'Dell Hell'. But of those who are aware, 15 per cent have shared this view with someone else. One of the most memorable steps Dell took in the aftermath of the crisis was to give Jarvis open access to the company, which prompted the cover story and strapline 'Dell learns to listen' in Business Week. Handley, who joined Dell in 2008, explains that behind this high-profile headline there was, in his view, much more crucial grassroots activity taking shape. The company launched a variety of platforms on social media channels, and on its own site started publishing uncensored customer product reviews and a blog for the investor relations community. He sent social media specialists out into the business units, so that any product or service problems that arose online could be addressed quickly. One of the most important initial steps Dell took was to get all those disciplines, from comms to customer services, that had a vested interest in social media, around the table. Handley seems genuinely surprised by the suggestion that this is one of the trickiest parts of the jigsaw for many organisations, with power struggles ensuing, sometimes leaving PR out in the cold while other disciplines take over. 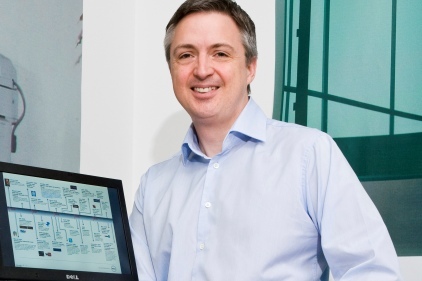 Dell has recently launched a programme to train its employees to be 'ambassadors'. So far, 9,000 employees worldwide have undergone training to empower them to proactively contact customers, based on online key word searches, that indicate they may be in need of help. In 2011, for instance, Dell's shiny new 'social media listening and command centre' would surely flag up Jarvis' 'lemon' machine. Currently, Dell is 'out-reaching' to about 1,000 such customers per week. Handley feels strongly that branding today is not about how you present yourself on your website or forum; it's about how others present you. So, while you may start being social on your own territory, the shift you want to make, he says, 'is to be everywhere'. But still, this ubiquity does not ensure your reputation always remains intact. He is realistic that of the 22,000 mentions Dell picks up daily, not all are positive. Do the negative ones keep him up at night? Does he have a recurrent 'Dell Hell' nightmare haunting him in the small hours? Handley laughs heartily, saying that very little keeps him up at night, except his two young boys. 'If you're asking me if we are always going to have customers that aren't happy with us, then the answer is yes. We have hundreds of thousands of customers. They're not all going to be happy. Only a small group of people have heard of 'Dell Hell', but they are high users of social media. Over a third (39 per cent) of previous Dell owners thought Dell's phone contact channel was good (fairly and very good). Current owners, however, have dropped to 28 per cent, which is significant. It is likely that awareness of 'Dell Hell' and possible personal experience have impacted the brand and therefore ownership. It is also interesting that a similar number of people think 'Dell Hell' is about the products rather than customer service issues. Having taken the Dell brand to all the mainstream social sites, the challenge for Handley now is unearthing the next Twitter or Facebook and, increasingly, doing this across the world. Internet users in some countries, such as China, cannot access sites like Facebook or Twitter, so Dell is working hard in these territories to figure out where its customers are socialising. 'Today you have to be multilingual. You have to communicate in your customers' language and be in the place they want to be,' says Handley. The other area in which Handley is becoming increasingly involved in is identifying key influencers online, then seeking their opinions in a more formal context offline. He has just attended an event in Germany, for example, where he was one of ten senior Dell executives putting questions to 15 'uber social media influencers' on Dell products and customer service. 'This is not only about listening online, but saying your views are really valued, could we get some time with you?' he says. 'Dell Hell' was at its core a customer service problem. It only became a reputational issue because of the furore enabled by social media. And I'd argue that the scale of the issue was largely due to the influential position already held by Jarvis. But it does demonstrate the increasingly blurred lines between functions in organisations; lines which social media have done their bit in helping smudge. - What I admire most about the way Dell has responded is that it has become proactive in seeking out customer complaints so it can truly help people sort out their problems. It has demonstrated a genuine commitment to becoming a customer champion. It is interesting that Stuart says Dell has no conflict internally about who handles social media. I'm sure there are many businesses still trying to grapple with this. Customer service people are fantastic at dealing with customer complaints, but it takes a different mindset to have the confidence to post your usually private responses to an audience the size of which you will never know. - As communicators, we can either cross our fingers and hope that a 'Dell Hell' day never happens or take steps to monitor consumer perception and close the gaps between the brand promise and the consumers' brand reality.